If that's not atmospheric, we don't know what is. Our research tells us that drum 'n' bass is one of the most popular genres covered by SampleRadar, so over the next few weeks we're going take a more in-depth look at the genre, bringing you some specific DnB elements. First up, atmospheres: if you're looking for eerie and futuristic soundscapes that will help you to create great intros, you've come to the right place. 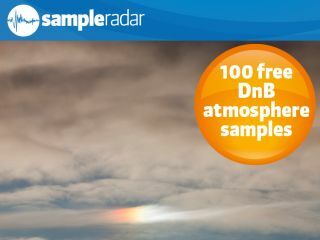 The drum 'n' bass atmosphere samples are supplied in a zip file, so you'll need to extract them before you can see them. Enjoy!